Moringa - 120 Capsules x 500 mg.
Moringa (Moringa oleifera) - Nutritional "Superfood"
Summarized Description: Moringa oleifera, also known as "drumstick tree" or "horseradish tree," is a veritable "superfood," loaded with nutrients -- offering tremendous benefits above and beyond its traditional applications in herbal medicine. 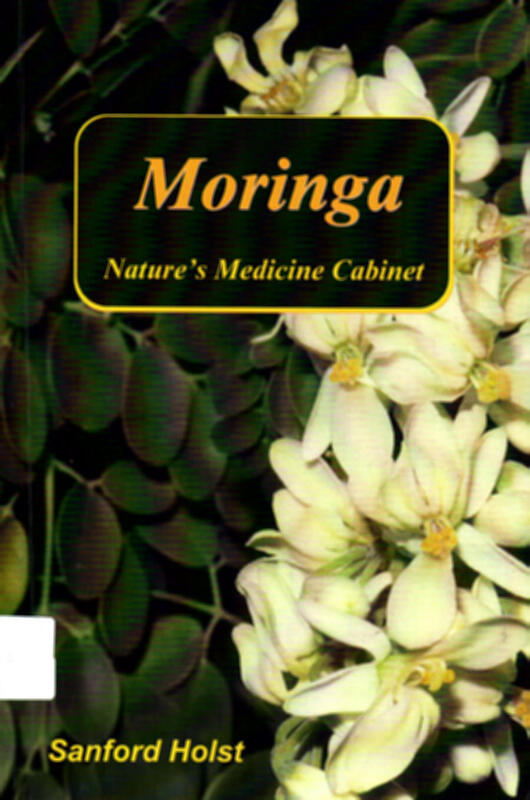 Native to the Himalayas in northwestern India, Moringa now has broad geographic distribution, is drought-resistant, fast-growing, vigorous, for which there are uses for all its parts: leaves, pods, seeds, bark, and root. 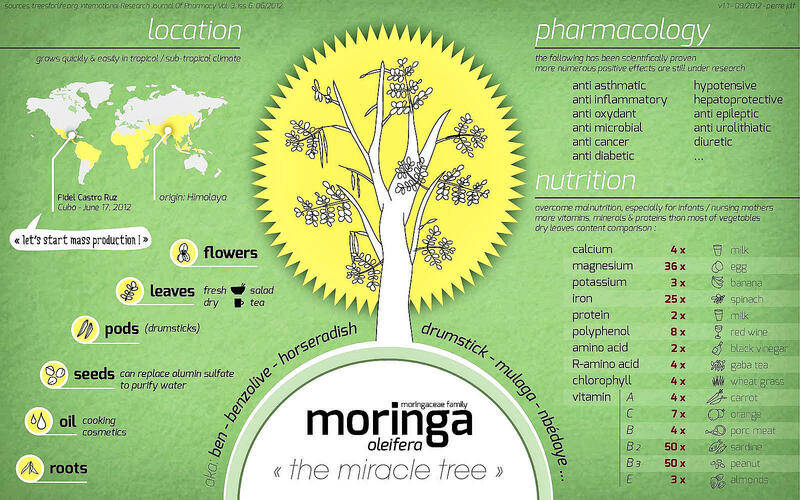 Geographic Distribution: Moringa has widespread geographic distribution throughout Central and South America, Africa, and Southern Asia. 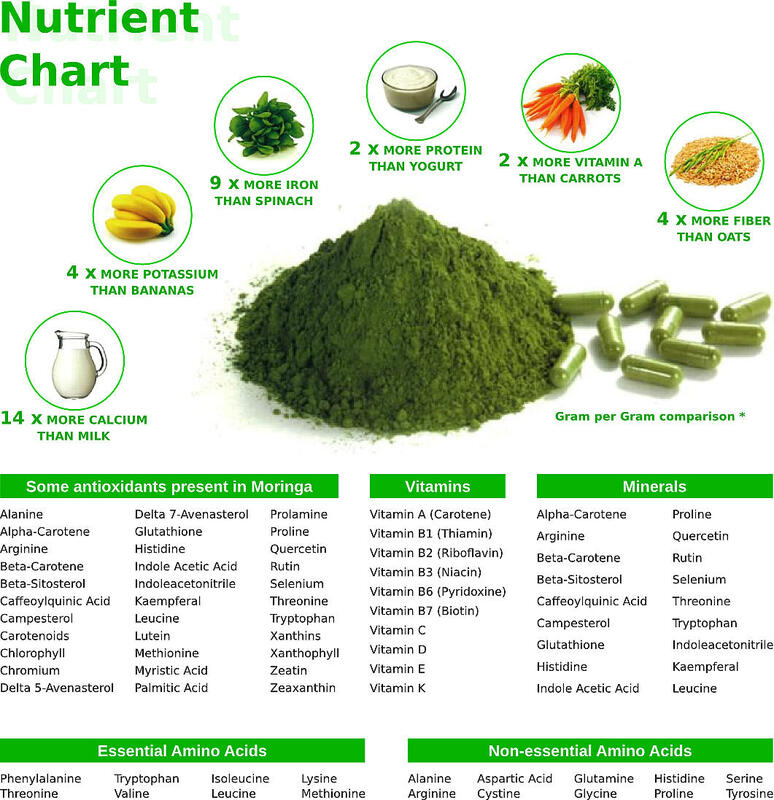 Warnings & Contraindications: "To date, absolutely no negative side effects to even daily consumption of Moringa have been recorded." (SAH:21) Note that this referring to the consumption of the leaves, primarly. The flowers as said to be abortifacient, so these should be avoided by women who are attempting to conceive, or women who are already pregnant. Shelf-Life: Five years or more. The following list of medical properties is taken from a variety of sources, studies, and publications. Note that both medicinal activities and indications are provided alphabetically below. See bibliographical references to see the references cited with the 3-digit codes below. Note that since different parts of the plant exhibit different properties (i.e. leaves, flowers, pods, roots, root and stem bark, gum, and seeds), we segregate these in the notes, where applicable, in addition to occasional listing of specific geographic regions or countries where the medical property listed is recognized.